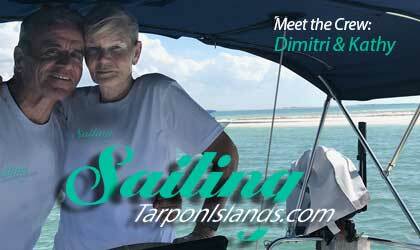 Dimitri and Kathy crew of Escapade, have been cruising and sailing for 36 years. 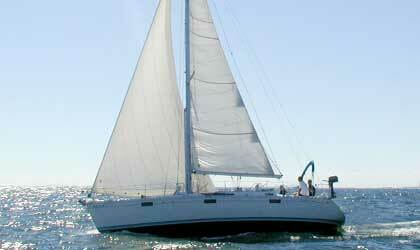 Their experience includes sailing in the Mediterranean sea around Greece and the Greek islands. Then to Boston, Martha’s Vineyard and Cape Cod. Three years ago Escapade was relocated to Tarpon Springs. 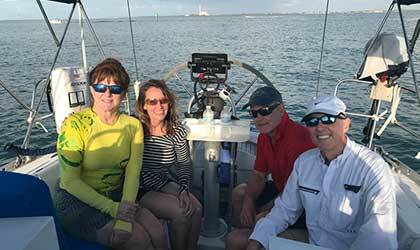 Now we are sailing in the beautiful waters off Tarpon Springs, Clearwater, Egmont Key and more. 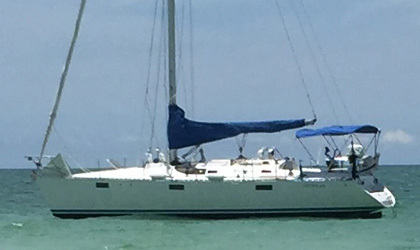 OUR SAILING VESEL the ESCAPADE, IS a BENETEAU. 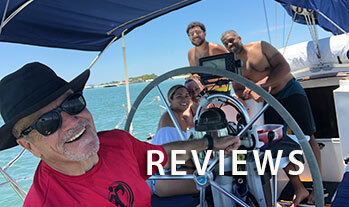 Is available for 3, 4, 6, hour Sailing adventures in the Clearwater area and local islands up to 6 people.